In 2011, a then-new Republican majority in the N.C. General Assembly was alarmed at an expensive new trend in local government. Residents in Wilson, Salisbury, Mooresville, Davidson, and Morganton were being hit with higher taxes and even electricity and water rates as their cities were bleeding money. Why? To pay for their cities’ decision to enter into a private market service, namely to offer broadband services. In 2009-10, the John Locke Foundation cautioned Salisbury and Wilson against the boondoggles, and subsequent events proved us right. By 2011, Wilson was borrowing from its municipal electric and gas funds to make up for an over $11 million shortfall in its Greenlight network. Mooresville and Davidson’s MI-Connection had posted consecutive losses of $5.6 million, $6.8 million, and $6.4 million. Salisbury was borrowing millions of dollars from its water and sewer fund to support its Fibrant network, saw its bond rating downgraded, and last year easily passed a voter resolution to lease the network. In response, the new Republican majority passed the Level Playing Field Law in 2011. Among other things, it stops (some) unfair competition, requiring new local government broadband systems to comply with the same federal, state, and local laws binding their private competitors. It prevents required subscribership from individuals or developments and ends the use of cross-subsidization to cover losses and price services below cost. It also forbids local governments from using bonds not approved by voters to fund the services. The Level Playing Field Law passed with the understanding that the private sector, featuring competing enterprisers seeking new opportunities and innovations, is best suited to solve difficult market problems. One such problem is how to connect relatively sparse rural populations to high-speed broadband. 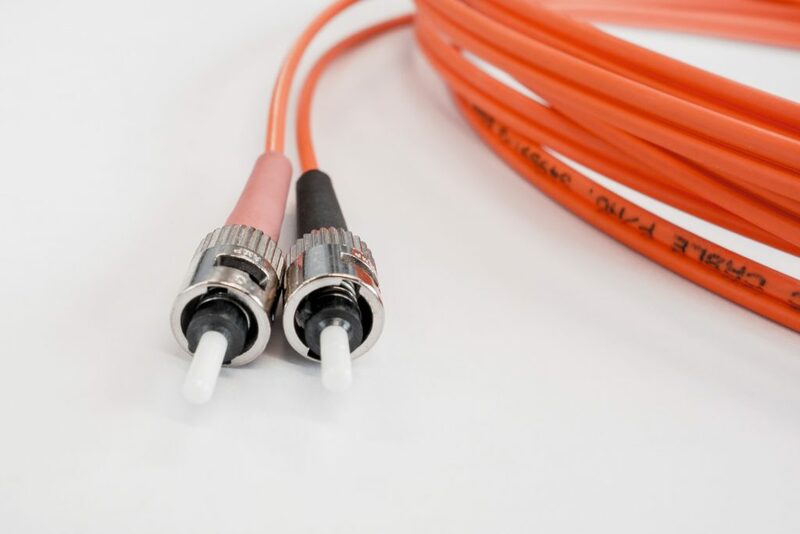 For example, WUNC reported on April 3 about how smaller companies were sprouting up across North Carolina to bring rural broadband services. These enterprises are using their own resourcefulness to get around the infrastructure problem, such as posting transmission equipment on grain elevators, water towers, even sweetgum trees. First, rely on the private sector. Public networks are inherently risky, pricy, and likely to take users away from and depress development of private networks. Second, lessen state and local regulatory obstacles to building wireless infrastructure on public property and public rights-of-way. Finally, consider direct vouchers to underserved residents to buy their own broadband and services at a discount, since vouchers would induce private investment more effectively without saddling locals with redundant public networks many won’t use. But has the current General Assembly forgotten about its concern back then? House Bill 431, which has several dozen co-sponsors, would allow a local government to build broadband infrastructure and service to lease to a private company. It would expressly allow the local government to use property taxes, revenue bonds, and other unrestricted funds to fund it. It would create an exemption in current law so that the lease could extend up to 25 years, and it would even exempt the system from the Level Playing Field Law. Are legislators less worried than they used to be about governments getting intertwined in private markets and raising taxes and costs on their own citizens? That would be a shame if so. Especially if the real costs of the service were hidden in property tax hikes instead of direct service costs. This sleight-of-tax is exactly the sort of cross-subsidization problem the General Assembly of 2011 sought to prevent. Who would compete against a company awarded such a lease? The local government would build the company’s infrastructure, charge the locals for it in their involuntary role as taxpayers (not as voluntary consumers), and lease it to a chosen “winner” company. It’s unlikely a small innovator would take on a propped-up competitor. But maybe a new entrant with a next-generation idea could. Either way, local taxpayers would still be paying for the infrastructure on lease, obsoleted or not. Another bill, House Bill 398, would appropriate $15 million from the State Capital and Infrastructure Fund to the “Growing Rural Economies with Access to Technology” Fund the General Assembly created last year. The fund received $10 million last year, but broadband advocates complained the fund was too small, focused only on rural poor, and could fund broadband speeds starting at 10 megabits per second, considered too slow to support more than one connection in a house. Finally, House Bill 387 would address the issue more along the lines of Mercatus’ second recommendation. It would allow electric membership corporations to apply for federal grant funding to install broadband infrastructure along their easements and rights-of-way. In December 2018, the U.S. Department of Agriculture announced a $600 million grant program to be used by “telecommunications companies, rural electric cooperatives and utilities, internet service providers, and municipalities … to connect rural areas that currently have insufficient broadband service.” HB 387 would remove state impediments to electric membership corporations from being able to participate in this program. Streamlining permitting and removing regulatory roadblocks to building wireless infrastructure is a more straightforward way of connecting rural customers to high-speed internet service. Going back to the well of having local governments tax their citizens to build it themselves, even to lease it to a handpicked “winner” company, is a known budget-buster. That’s true even if the legislature decides to build budget-busting into the bill. If it was a problem in 2011, why isn’t it now? This General Assembly should remember its history of fiscal and regulatory responsibility. Encouraging competition, removing obstacles to enterprise, and smoothing the path are better ways to see a market need being met without tax increases. Jon Sanders is director of regulatory studies at the John Locke Foundation.